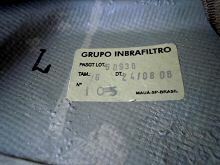 GRUPO INBRAFILTRO - PASGT clone. 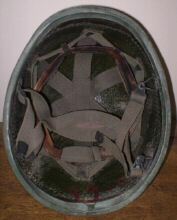 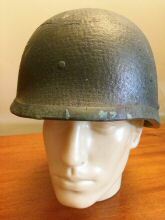 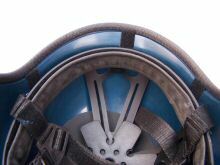 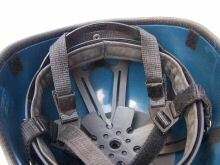 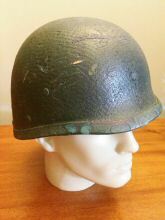 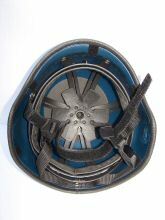 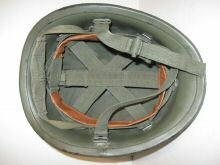 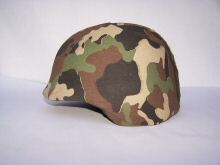 INBRATERRESTRE ballistic helmet. 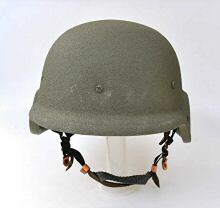 This is apparently a division of the Brasilian INBRAFILTRO. 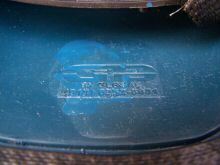 Not clear from the label what the model designation is - possibly '09 ACH' Dated as produced in May 2013. 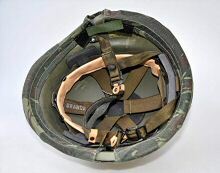 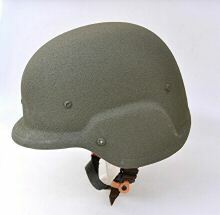 Brasilian-made version of the South Korean composite helmet. 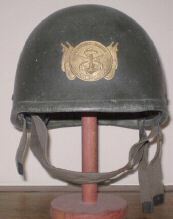 "Brazilian Fuzileiros Navais ( Marines ) fibre helmet, some kind of Orlite inspired helmet, with a badge on front. 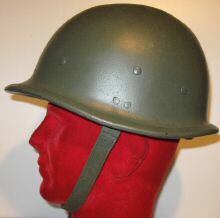 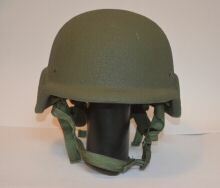 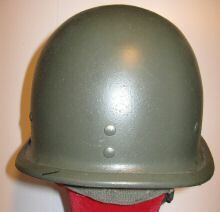 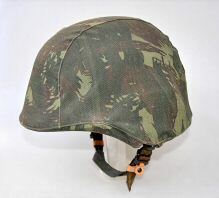 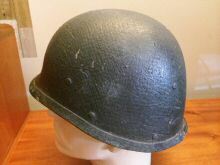 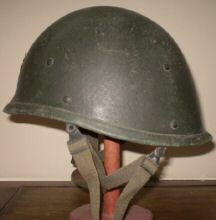 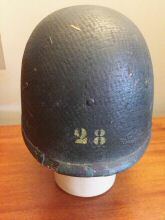 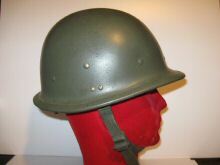 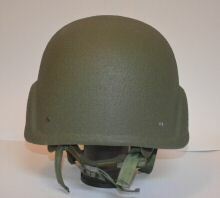 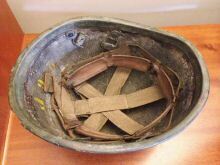 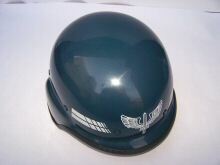 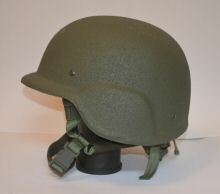 Sometimes called M1978"
"This is a thick plastic helmet made in Sao Paulo by GLABAL. 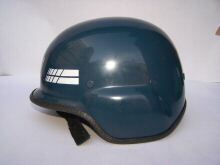 The helmet shown is used by the Air Force. 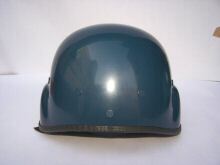 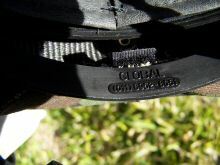 The helmet is also used by the mounted Military Police at Sao Paulo, and may be used by other Brasilian police formations. 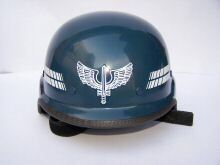 The Military Police helmets are painted white with the decal of the MP at the front." 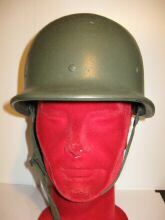 This well-used example lacks its chinstrap assembly.